Actually the city of St. Augustine clarifies that it is the oldest continually inhabited city in the U.S. We have passed it by several times in our road trips between home and the Florida Keys and this time decided we needed to stop. We arrived late afternoon and parked the car to wander as much as we could before it got dark. Suddenly we found ourselves surrounded by a group of people in character dress. Eventually we decided they were all headed for some sort of gathering aboard the Spanish galleon, El Galeon. 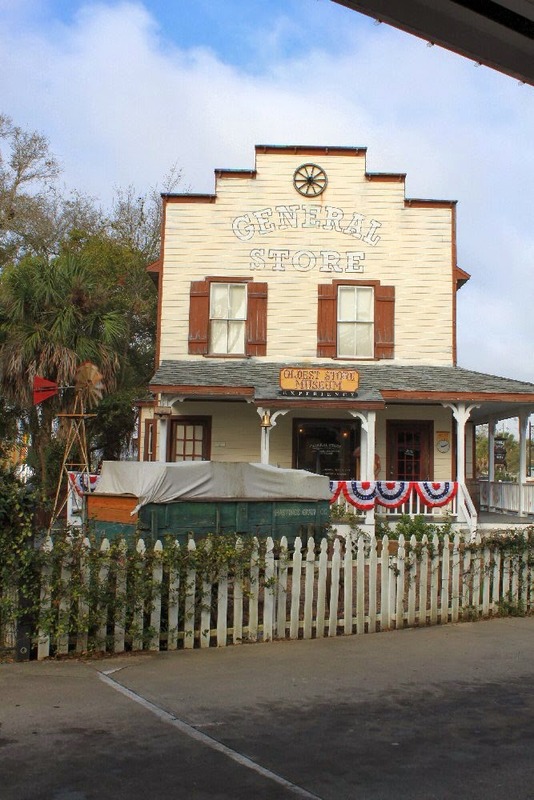 The authentic 170 foot long replica came for a visit to the port of St. Augustine and decided to make the port its home for six months of the year at least until the 450th birthday celebration of the city in 2015. St. Augustine was founded (42 years before Jamestown and 55 years before the Pilgrims landed) by Don Pedro Menendez and his 600 soldiers. They landed in the area on St. Augustine's Day which explains the name of the city. The old town area has many historical buildings but much of what is there is occupied by all sorts of gift shops, cafes, restaurants, and museums. It was a bit overwhelming since we really weren't prepared to explore in any kind of organized way. We decided to eat dinner and the next morning take one of the trolleys that run routes in and around the historical area. The trolley tour takes an hour and a half if you don't get off and on along the route. The Old Town Trolley Tours has 22 stops where you can get off, explore and hop on again. Your ticket is good for three consecutive days and also gives you access to a free beach shuttle. [Note to seniors: Our price was only $16 each and I didn't see where that was available online.] There are all sorts of packages you can choose from that will give you admission to some of the museums and attractions. It's a good deal even if you only use it one day. Parking in the public garage is $10. It would be best to go with a plan of what you'd like to see. We had no plan and we only had a few hours. We were trying to schedule our trip home to avoid another snow storm that was predicted to arrive right about the time we were to hit the Blue Ridge Mountains area. 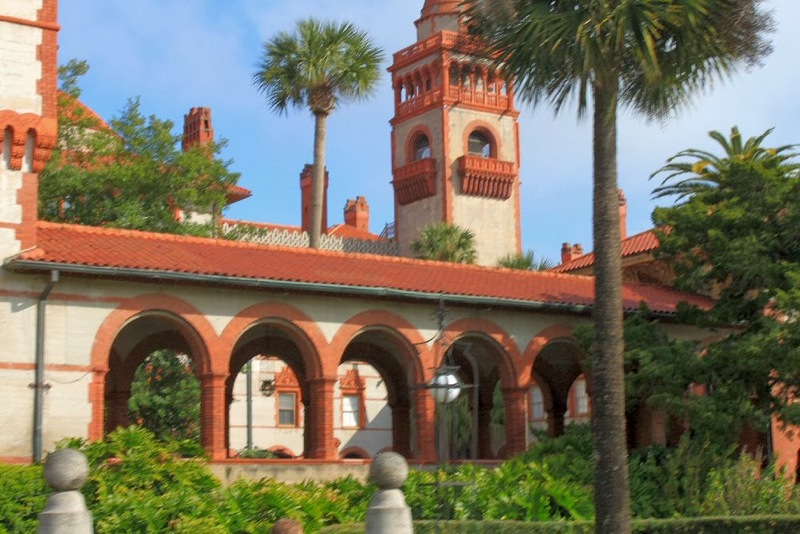 St. Augustine's is certainly on our to do list for a return visit. 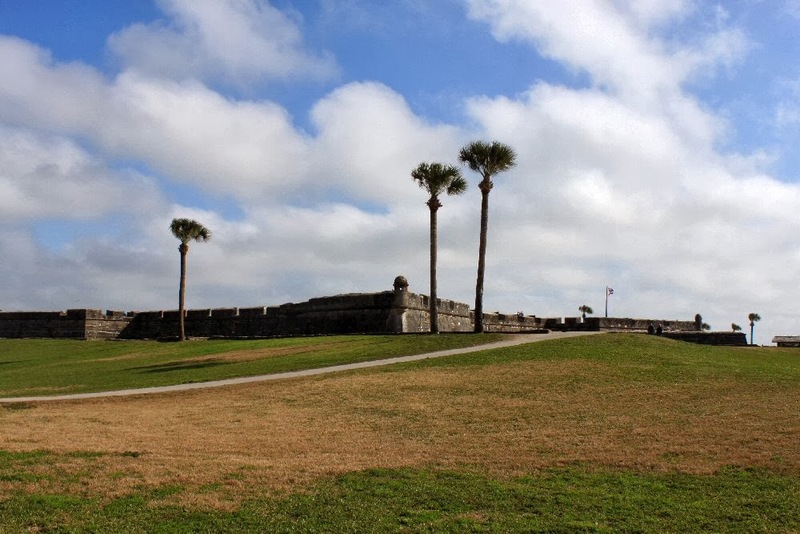 The next time we will be prepared and plan to visit the Castillo de San Marcos, the impressive fort made from coquina stone, and several of the other museums in the area as well as explore some of the neat shops we passed by. 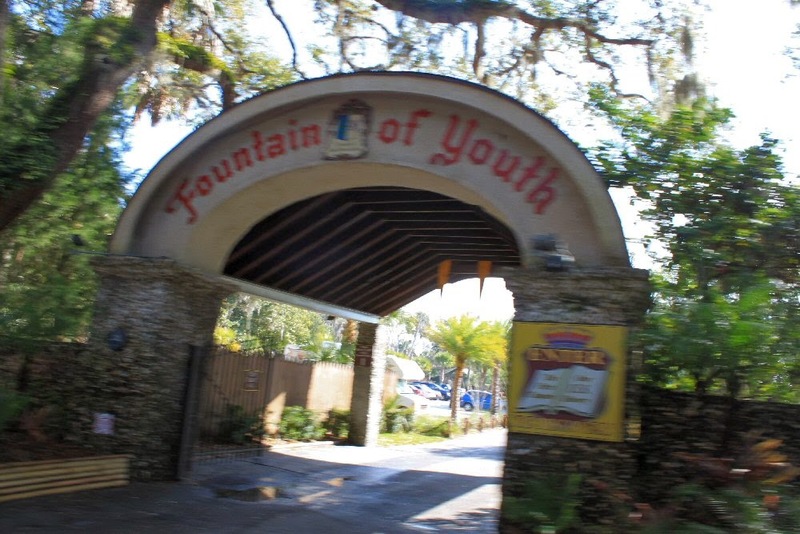 And of course, we need to stop by the Fountain of Youth and try out some of that special water. At our age we need all the help we can get.